Heavy chrome plating and quality finish add a classic touch to your mag or chrome rims. Fits .453" valve stem hole. 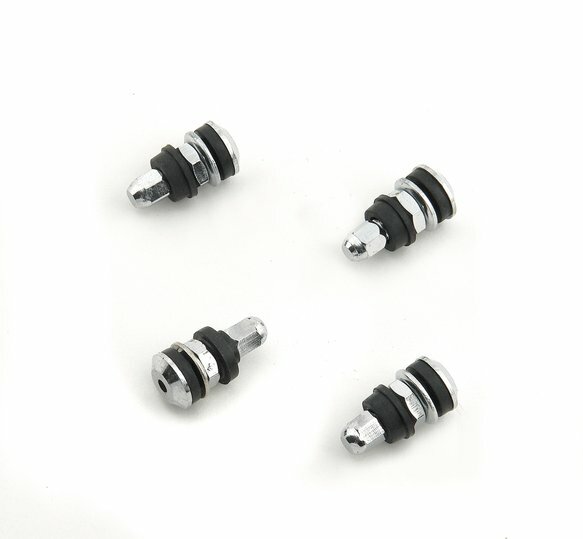 Short Screw-on mount-4 per set. Fits the standard valve stem hole opening of .453"